T-shirts Are On Their Way! There were votes for both t-shirt graphics, but this one had the most! The font is bolder than it was in the original sample, so hopefully that will help it pop out more from a distance, which was something some people liked better about the other graphic. They will be printed on brown tees (or at least the first batch will be). I'll post the cost once I have the t-shirts ready for sale, because I'm not sure what the final printing cost will come to. I'm guessing I'll price them somewhere around $20 each. All the proceeds will be going toward our adoption fund. 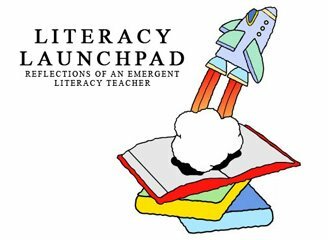 The Literacy Launchpad logo will be printed small on the back of the t-shirts. You'll be looking good and spreading a great message!! I love learning about what creates a motivated reader! One if my Literacy Launchpad students has recently begun reading like crazy. Seriously. All of sudden she's reading me the stories during class time! This student - let's call her "Kate" for the sake of privacy in this post - has been a Literacy Launchpad student for a few years now, and has also spent some time doing Hooked On Phonics lessons with me. She's been an enthusiastic learner for as long as I've known her! Her mother graciously allowed me to interview her so we could all glean some insight that we can perhaps apply with our own children! Amy: It seems like almost overnight Kate is reading everything! Was the appearance of her reading skills as sudden and surprising for you guys (you and your husband), or did it seem more gradual? Kate's Mom: It seemed gradual to us. However, we have been quizzing Kate since she was old enough to pay attention. We had tub letters when she was less than a year old and would ask her to find them for us – “where’s the W”, “where’s the P”. Then we would spell out simple words – three letters or so. Then on to her name and other words that called out her surroundings – “tub”, “soap”, “hot”. She seemed to catch on quickly and seemed to really like to be quizzed so we kept it up. Soon, we moved on to labels on groceries and road signs. 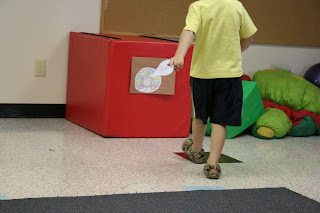 At the same time, we were working with colors and shapes too. I seriously thought she was going to turn around one day and say “ENOUGH ALREADY!” but she was a good sport. Amy: When and how did you guys see/discover/realize that Kate could read? Kate's Mom: Actually, it was a couple of times. First when we put the tub letters on the wall to make a work and she read it. Later, while reading books, I used my finger to follow along the words, showing her what I was reading. I asked her the simple words. She didn’t get all of them but she did get most of them. About six months ago, she started reading Junie B. Jones books to her dolls. At first I thought she was just making up the story from what she had heard me read. Then, one day, I looked over her shoulder and realized she was actually reading the story. Amy: Is there a specific technique, activity, attitude, or strategy was implemented at home or at school that you attribute to Kate learning to read? Kate's Mom: Obviously Literacy Launchpad was integral. At home, we have always read books to Kate, then with her. Now she reads to us. Amy: Are you and your husband big readers? Does Kate see you reading often? Kate's Mom: I would love to say that we are big readers. But we’re not. We are knowledge junkies. If we don’t know something, we find it. In books, on the internet etc. My husband and I are both really high strung which makes it difficult for a book to hold our attention long enough to get through it. 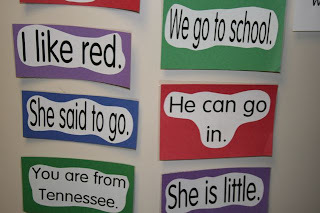 These sentences are posted in the preschool hall. Kate surprised us all by reading all the sentences. Amy: What kind of reading materials are available at your house for Kate? Kate' Mom: Kate has crates of books representing all reading levels thanks to her aunt who IS a big reader. Amy: Does Kate have some favorite books and/or authors? Kate' Mom: Not really. She reads everything. Amy: How often does Kate watch TV/videos? Does she have a favorite show or movie? Kate's Mom: Her favorite television shows are: Max and Ruby, iCarly, Grease, Jonas Brothers. Amy: What kind of reading experiences do you share at home? (i.e. bedtime stories, library trips, etc.). Kate's Mom: We go to the library and pick out books. 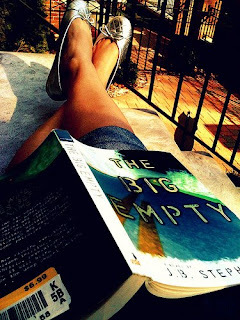 We read books when the feeling hits us. Amy: We've seen that Kate is able to read. Does she also enjoy reading? Kate's Mom: Kate LOVES to read. Road signs, books, food boxes. She loves words. Which graphic do you like better?? Vote in the comments! We read the funniest story the other week! No, it's not a big secret. This is the title of one of our recent Literacy Launchpad reads, Pssst! by Adam Rex. This story is Pixar-ish in that it is completely enjoyable by young-ins, but can also be throughly entertaining for adults. When I bought this book, I actually bought a copy to use with my students, and a copy for my older sister, Rebecca! And she loves it! Pssst! was part of our unit of summer adventures. Rex's story took us on a hilarious visit to a zoo full of talking animals that are full of character, and not at all shy about asking for some favors! Can you imagine... turkeys requesting corn to turn into clean burning fuel!?! Oh! This book is so full of awesomeness! The detail in the illustrations. All the hidden little funnies. I never get sick of this one. And it's SO much fun to read aloud. I found out after a recent phone call with my sister that we both have our own funny little ways we like to do each character voice. 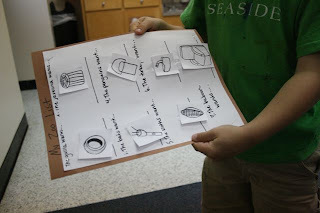 Literally all of my students had an opinion about whether or not they would help out the zoo animals and gather their various requested items. They're getting better and better about forming their own opinions and not just copying everyone else's answers, which makes for such wonderful discussions. Great connections were made between our story and our own lives. 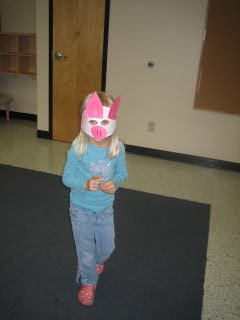 And check it out, we got to chat with the animals ourselves!! On our own zoo visit... In class!! We laughed a lot. Read this book before your next visit to the zoo! 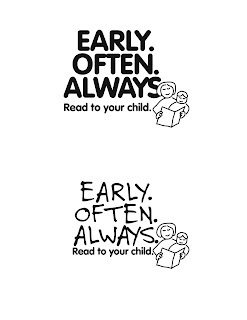 I believe that introducing children to the joys of reading early on is so important. I love what I do. But what's frustrating is that I have little to no control over my students' literary experiences once they graduate from Literacy Launchpad. Will they continue to have teachers that love and value reading? Will they have access to quality literature? Will they be provided with plenty of opportunities to spend time lost in a book? I've been wondering lately what I can do to have more of an impact on my students' reading future. Launching them in the right direction is a good start. But can I do more? Research continues to show that the number of children who read for pleasure drops significantly as they get further into grade school. How can this be happening? More time for reading in the school library. Change the way we train teachers, or the amount of training we provide teachers in the area of reading instruction. Funny story - I had many education majors in my literature and library media classes in college, and I was amazed at the moaning and groanings that came out of some of them over being assigned books like Harry Potter and Coraline to read. They didn't seem the least bit interested in our reading assignments, and during one particular class, one of the education majors uttered the unbelievable during a book discussion, "I don't really like reading." What?? I can understand that not everybody loves reading, but if you're going to be an elementary teacher, you better!! Perhaps we can't force future teachers to love reading (Or maybe we can?). But if we empower them with more knowledge about the importance of raising up readers, maybe we'll be moving in the right direction. Those are simply a few ideas for change. It's easy to complain about what's wrong, but not so easy to make it right. This is the part where I ask for your ideas! Are there ways you're working for a change? 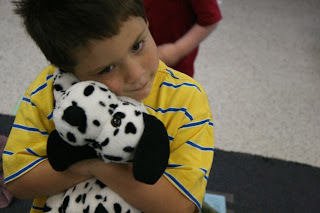 Ways you're helping children stay readers for life? Or maybe you just have some ideas of things we can all do to help make a change. Share it in the comments. I seriously want to hear your ideas. I want to get out there and make a difference! A Literacy Launchpad summer session! I can hardly belive it. This is seriously so much fun! We're going to be connecting literature with our own lives this month; reading books about some of the very things we love to do, and learning that the library is full of stories about people just like us! Going to the beach? There’s a book for that. Day trip to the zoo? There’s a book for that. Wanna play outside? There’s a book for that. Yup! There’s a book for just about everything! As adults we know that if we want to learn about a subject, we can almost always find a book about it at the library or the bookstore; most of us have read a story in which we can identify with the character(s) or events; and when adults read a story, we can make comparisons and connections between the book and our own life. These are not necessarily skills that young children possess yet, but it’s exciting for them when they discover and practice these skills! And that’s what we're doing this month! 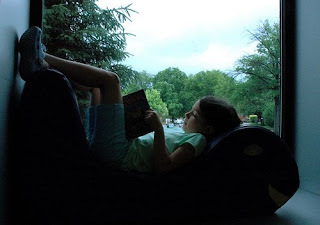 Summer is full of fun experiences, and the library is full of books about those experiences. 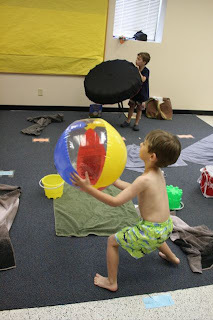 During our first lesson in June we read To The Beach, by Linda Ashman. This is a story about a family that tries to take a trip to the beach, but can't seem to remember to pack everything. Just when it seems they have everything they need, the weather takes a turn for the worst. Will they get to have their beach day? Check this book out at your local library to find out!! 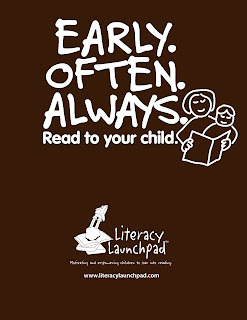 Or purchase it in the Literacy Launchpad Store. All packed up in the "car" and ready to go?? 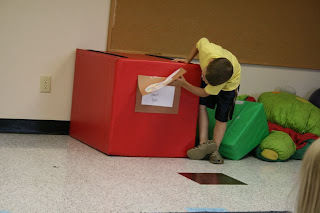 This activity was so much fun. 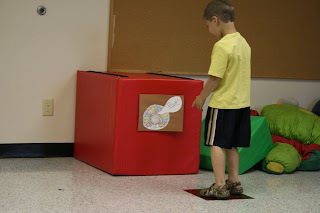 I love that playing and imagining comes SO easily for children! Make believe is never a struggle for them! We had some beach fun, of course! And we remembered to bring the dog along too!! Win Itty Bitty Bookworm Curriculum! Help Save An Orphan! IF YOU'RE ENTERING NOW, PLEASE LET ME KNOW at watsonadoption@gmail.com so I'M SURE TO GET YOU INTO THE DRAWING!! So stay with me here. This is a literacy related post, I promise! There are 5 CDs of curriculum up for raffle. Each CD contains a full year of Itty Bitty Bookworm's toddler curriculum, AND a full year of their preschool curriculum! That's a $540 value! FIVE winners will be drawn and each winner will receive ONE CD of Itty Bitty Bookworm curriculum. So when you buy a $20 raffle ticket, you have 5 chances to win $540 worth of curriculum!!! The Itty Bitty Bookworm is fabulous, literature-based curriculum for both toddlers (18-36 months) and preschoolers (3-5 yrs). Curriculum that's literature-based? Does it get any better than that?!! 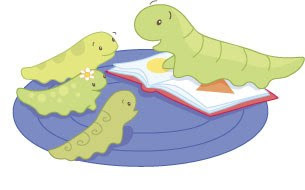 Visit The Itty Bitty Bookworm's website and find out tons of great info about this curriculum! "The magic of The Itty-Bitty Bookworm is in the simple, organized, teach-it-yourself curriculum. It’s a literature-based program on CD that does all the planning for you, so you can focus on what's important ~ your children. The Itty-Bitty Bookworm is committed to excellence and devoted to the basic tenet that quality education can be enjoyable, too! 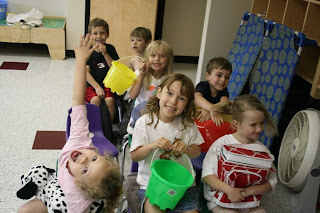 The program is specifically designed for children ages 18 months - 5 years of age, and tailored to meet the unique needs of in-home preschools, family child-care centers, child development centers and home-schooling families." You will receive 1 TICKET for every $20 you donate. There is no limit to how many tickets you can have in the raffle. For each donation you make, we will write your name on an actual ticket to be used in the drawing. You have until 12p.m. CST on Wednesday, July 1st to purchase as many tickets as you would like. The winner will be drawn on the afternoon of July 1st. Donate! We will hold a drawing of all the tickets and five winners will receive a prize. Simple as that! - Choose "General Fund" from the "Select Project" menu. OR: You can call Anita Thomas (828) 693-7007 ext 312 and make a donation with your credit card. Mailing a check directly to The Watson family (email us @ watsonadoption@gmail.com for our address), or by paying us next time you see us! If you could drop us an email at watsonadoption@gmail.com after you donate with your name and address, that would be helpful! Otherwise, you'll need to be sure you check back here on July 1st to see if you won (we'll still need your address though if you win so we can send you your NEW Wii!!). Oh! And if you're able to spread the word about this fundraiser, I would be extremely appreciative! Facebook it! Blog it! Tweet it! Thank you! 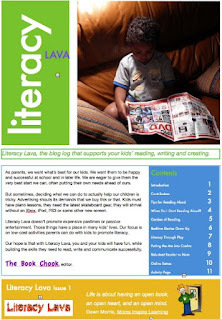 Literacy Lava is a free newsletter available for download right here! It's chock full of literacy tips, information, and ideas to use with the young ones in your life! A collaboration of brilliant kidlit bloggers, you'll tear through this first edition and be burning (hee. hee.) for more! CLICK HERE TO GET LITERACY LAVA!! I am so excited for Monday! That's when Literacy Lava will debut here at Literacy Launchpad as well as on the blogs of the other Literacy Lava ladies! What is Literacy Lava you wonder? Literacy Lava is the brainchild of Susan Stephenson - The Book Chook! Susan is so incredibly passionate about children's literature and literacy. She works her tail off to spread her knowledge and passion as far and wide as she can. I don't know how she finds the time to do it all, but I love her for it! 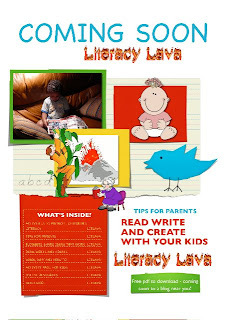 So Susan created Literacy Lava to be a newsletter full of great information, ideas, tips, etc. to help parents/teachers/grandparents/caregivers motivate and empower (my own words here) the children in their lives to be excellent readers! Please go visit the blogs of all these brilliant women, and be amazed! And be sure to be here on Monday for the debut of Literacy Lava!! Ideas For A New Reading Space. Need Your Expertise! Today I had the privilege of having lunch with the leader of a very cool, non-profit venue coming to my area called Sodium. If you click that link, you'll get a little bit of an idea of what Sodium is about. It is a project still in the works, but the idea is basically to create a space where people can chill out, meet with friends, mingle, have fun, perhaps even be entertained and fed while they're there too... The vibe will be very cool, but laid back, and also very family oriented. It is designed to have an area for every age group to hang out in and have fun. O.K. I'm really not doing Sodium justice here with my explanation, but I hope you're kind of getting the idea. 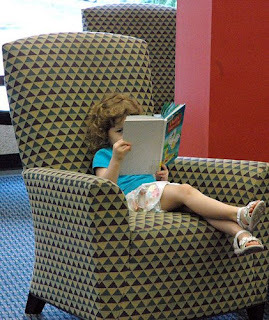 How do you incorporate a reading and literacy experience into that space? What kind of reading services could be provided? What kind of reading programs and services would parents want? And a big question right now is what would be the ideal kind of space for some literacy programs? How should that room/area be laid out/designed/furnished/decorated? A few ideas that immediately pop into my head are Literacy Launchpad sessions with youngsters (obviously). Parent education classes (i.e. 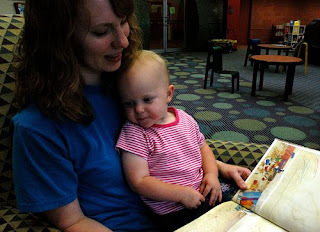 how to read aloud with your child, promote literacy at home, etc.). Interactive literacy projects that could be displayed throughout the venue. There will be a stage, a couple playground areas, and also video screen throughout Sodium. 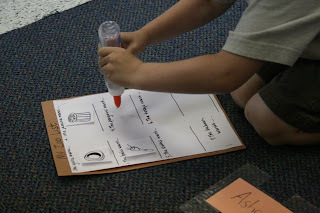 Perhaps these could be utilized in some literacy related activities? This is such a big opportunity to spread literacy and a love of reading. It's a chance to allow children and families in a community to perhaps see reading and books in a different light... As something truly fun, worth while, entertaining, and not necessarily related to school and work. What's the best way to make that happen? I would LOVE to hear your ideas. Any and all of them, please! !